aesop is a brand of skin care products founded in australia. in addition to their products, each of their boutiques around the world have been uniquely designed by recognized architects and interior designers such as torafu architects, schemata and paulo mendes da rocha. 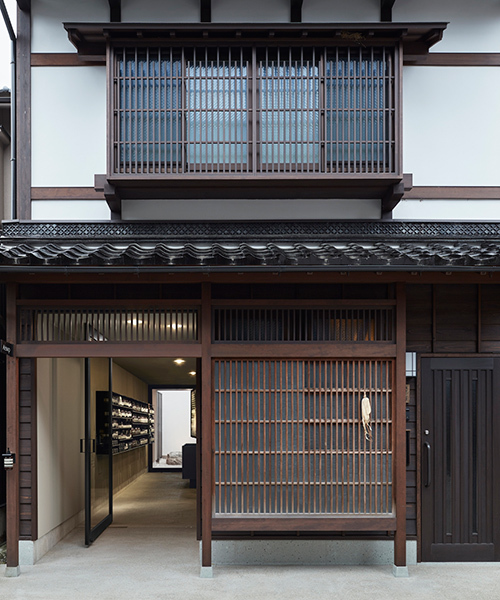 townhouses with a traditional storehouse are often seen in the japanese city of kanazawa. seen in most of the properties in the area is the machiya, a traditional row house. facing the street is a semi-outdoor level called the ‘toori-niwa’ which leads to a small courtyard and a white stucco finished storehouse. while the kitchen and water related appliances are gathered around the toori-niwa, the living room and more private spaces are organized along the semi-outdoor space. 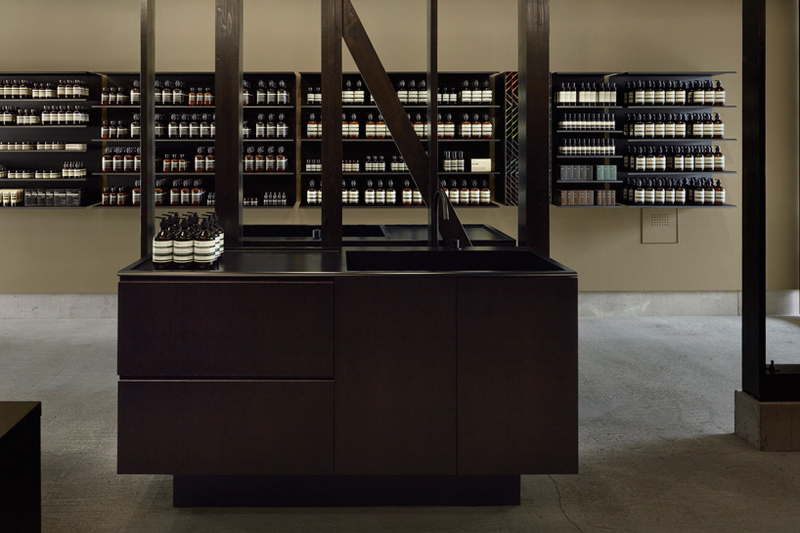 CASE-REAL introduces the interior of an aesop retail shop, a project whose site shares this traditional townhouse layout. 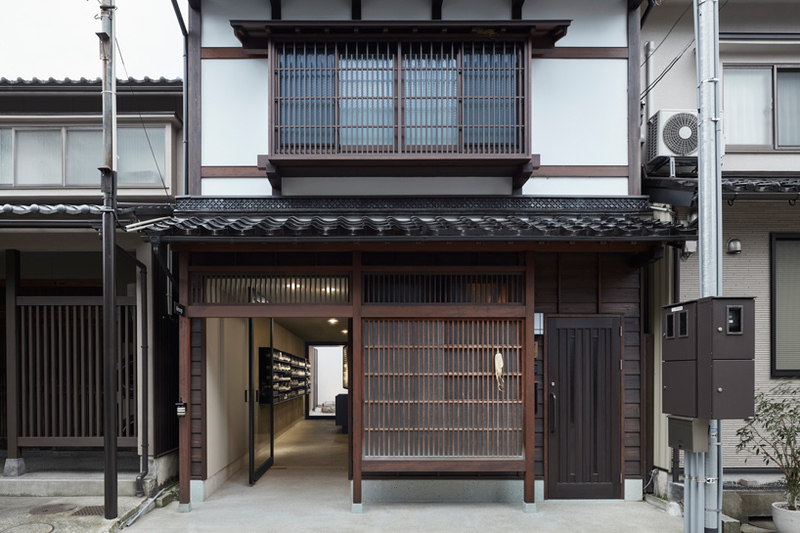 the once dilapidated and reconstructed machiya structure along front road had been renovated by CASE-REAL as a hybridization of residential and aesop retail space. 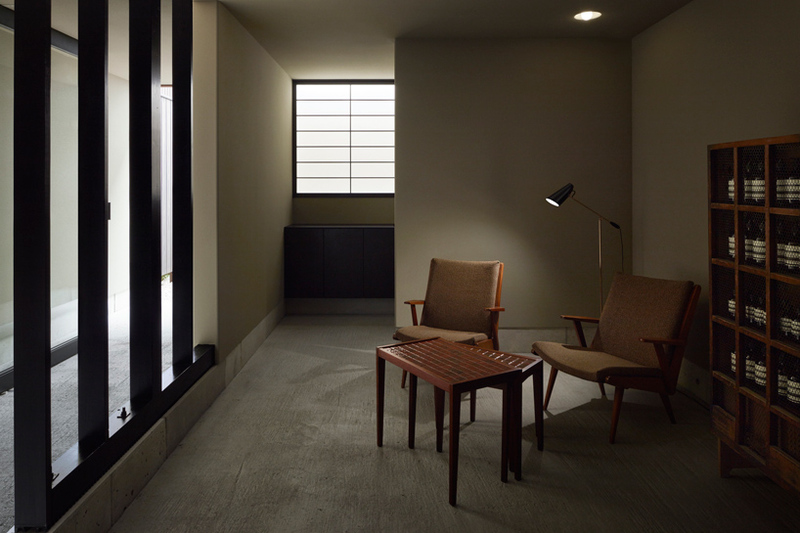 the second floor was kept as an isolated residential space with a separate access path to the shop on the ground floor. the architects considered the original atmosphere of the space in the renovation. while most of the existing walls have been removed, the original structures have been maintained. 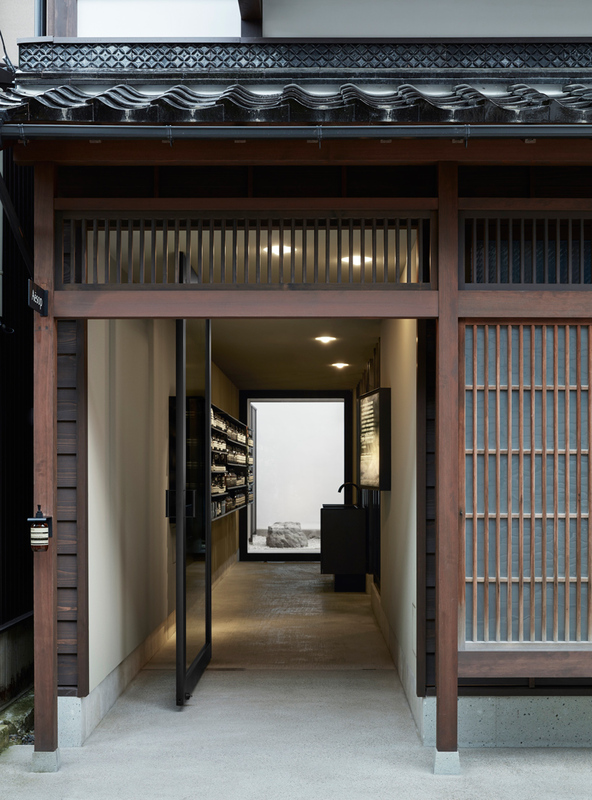 the floors throughout the shop had been emboss finished by pushing straws against the cement so as to offer a visual connection between the volumes centered around the half-outdoor doma.